Manchester United is a much happier club at the moment. Ole Gunnar Solskjaer has, quite simply, been a revelation. The Red Devils legend has won six from six, while making Old Trafford a pleasant place once again. He deserves immense credit for the work he’s done, and questions were raised about whether he’ll be allowed to make transfer moves in January. Although everyone, myself included, was wondering whether we’d make signings, Solskjaer was more focused on keeping players at the club instead. First and foremost, that tells me he has no plans to bring anyone in, but the possibility of allowing some to leave could have been on the cards. He concentrated on Scott McTominay, who now it looks like won’t be leaving United on loan due to the injury suffered by Marouane Fellaini. 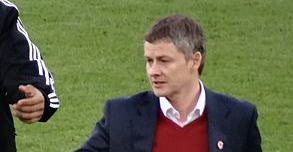 “Scott is working hard, he’s a young boy that I believe in,” Solskjaer told reporters, including ManUtd.com. While that’s probably disappointing for McTominay as he’d like to be playing regular football, at least the manager believes in him as Solskjaer did offer some words of encouragement. Will that translate to regular minutes? I’m not so sure, but United are thin in midfield so if they suffer an injury or two, McTominay could well be thrust into the deep end. For now, I guess the young midfielder will just have to sit tight and patiently wait for his opportunity. Hopefully, he gets to show us what he can do in the not too distant future.